And no, I’m not talking about some of the marketing imagery that can be found on, say, the London Philharmonic Orchestra’s recent release of “The Greatest Video Game Music” which features a cello on the cover (albeit, played by a special ops troop ostensibly from one of the video game scores featured on the album). 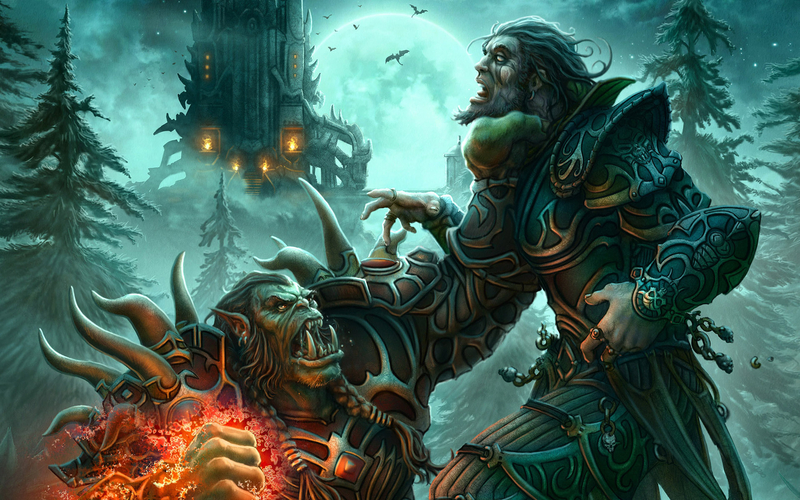 I’m going to start blaming World of Warcraft for the decline of Classical Music audiences–damn you, Thrall! Joe Patti posted an excellent rebuttal of the idea that arcane terminology and practices are killing the arts. Not exactly the phrase used, but soul-sucking and alienating have pretty negative connotations too, eh? This is something we hear all in relation to how relevant the arts are to today’s audiences. That no one has the time to learn the concert etiquette for Classical music, or that no one has the time to listen to a two to three hour performance, or that no one wants to spend the time to learn about the jargon that arts insiders and fans have which allow them to converse meaningfully about a performance (or the practice) of an arts event or field.